First and legendary Mssp level. 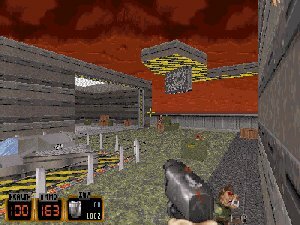 Idea to name levels by my name came from the Quake map maker named Iikka Keränen. His levels like Ikspq1 ( Iikka Keränen single player quake ) gave me the idea to name levels like this. This is military base based level and i used some Q2 maps as an model to create this.